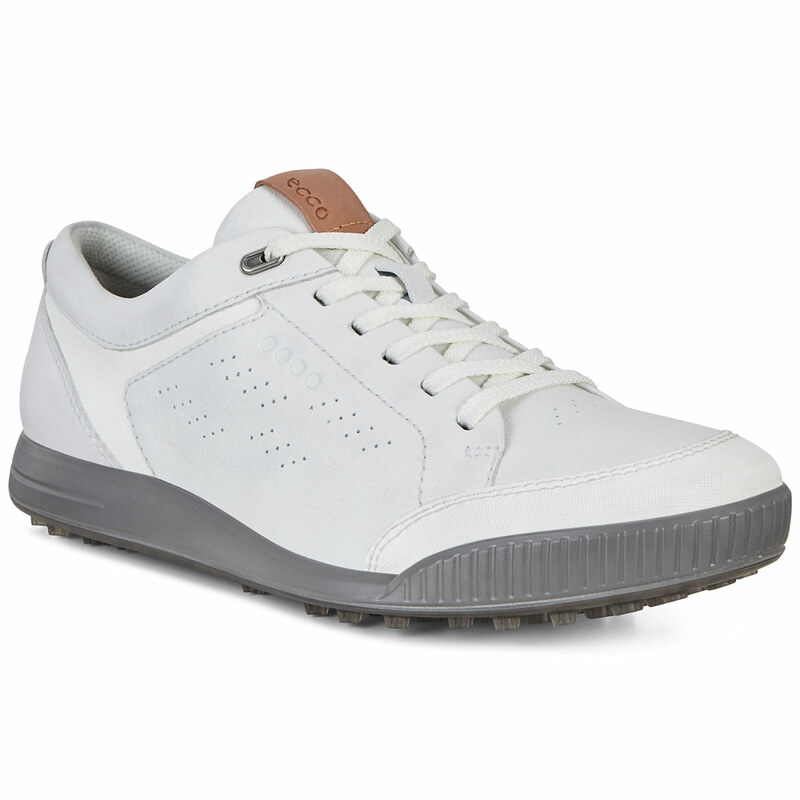 These retro-styled golf shoes offer a premium performance as you play the game of golf, constructed from a camel and full grain leather upper with HYDROMAX water repellent technology treatment to keep your feet dry and comfortable during your round of golf. 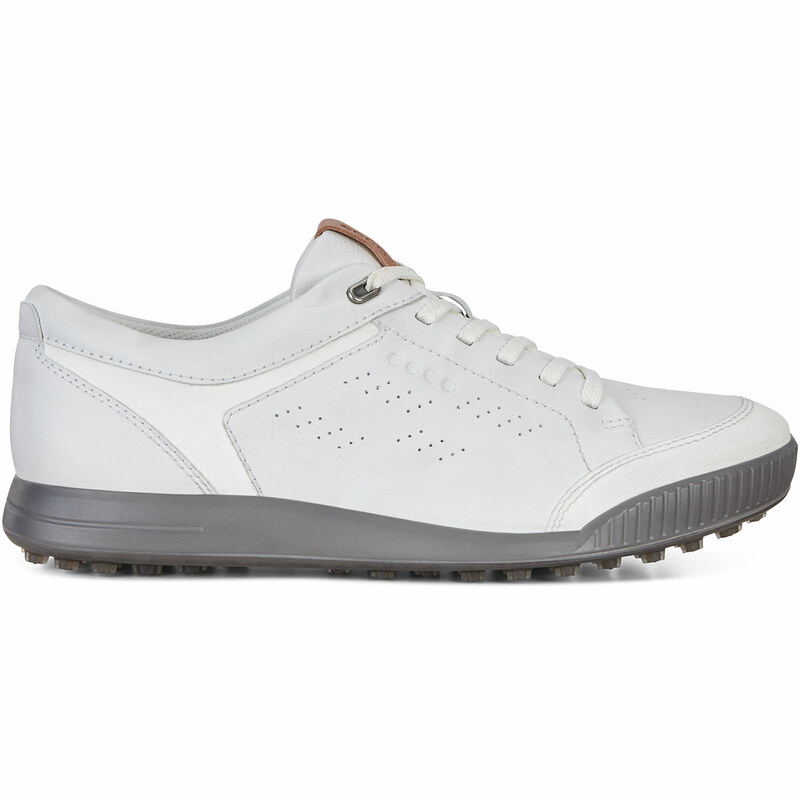 The camel and full-grain leather upper is strong and lightweight, providing increased breathability and long-lasting durability which is perfect for playing golf. 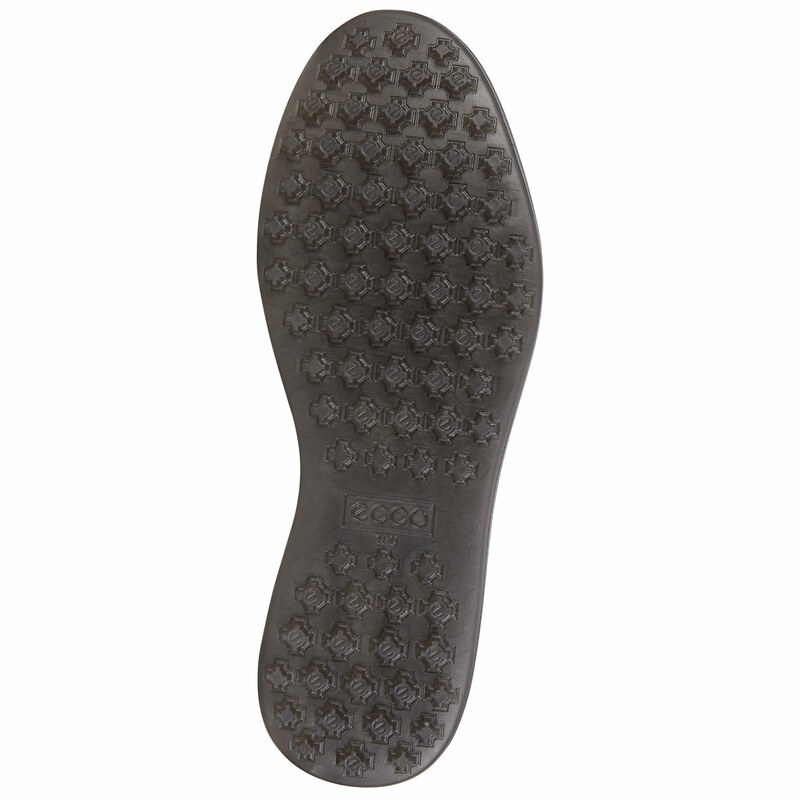 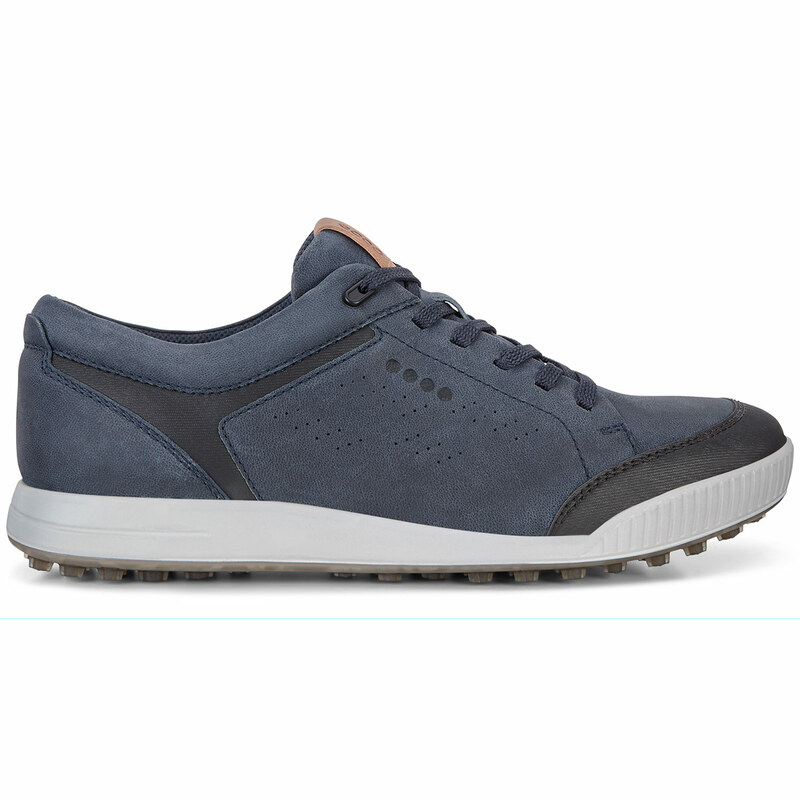 The upper is treated with HYDROMAX which is an exclusive treatment used by ECCO to make the leather highly water resistant, this allows the shoe to keep your feet dry when it is exposed to water for roughly 8 hours at a time. 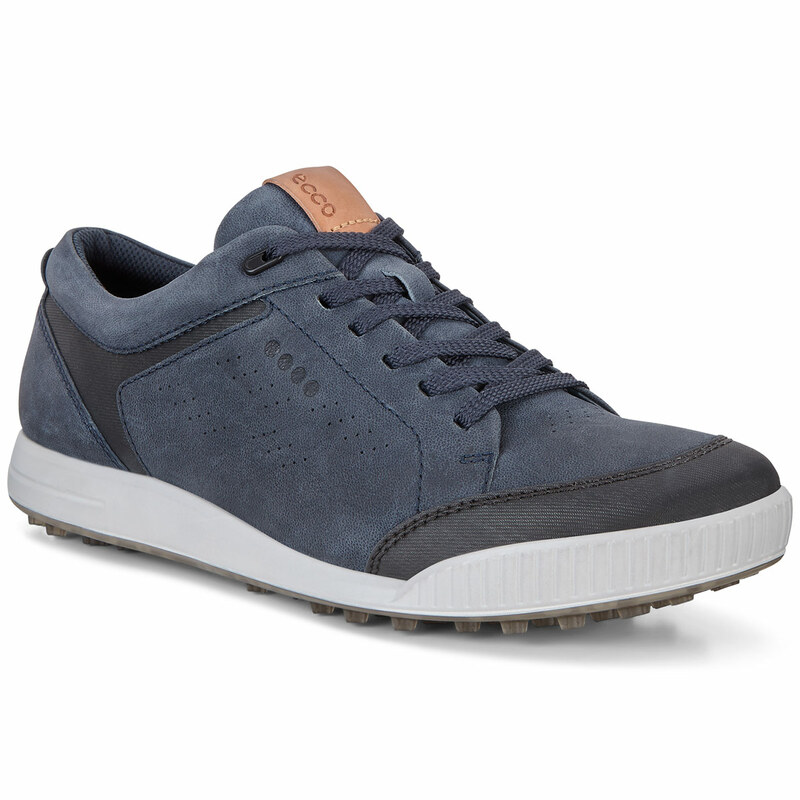 These shoes come with a removable comfort-fibre inlay sole, this provides long-term cushioning and enhanced breathability for total walking pleasure.